"Srila Bhaktisiddhanta Sarasvati Thakura says that if an observer immediately remembers the holy name of Krishna upon seeing a Vaishnava, that Vaishnava should be considered a maha-bhagavata, a first-class devotee. 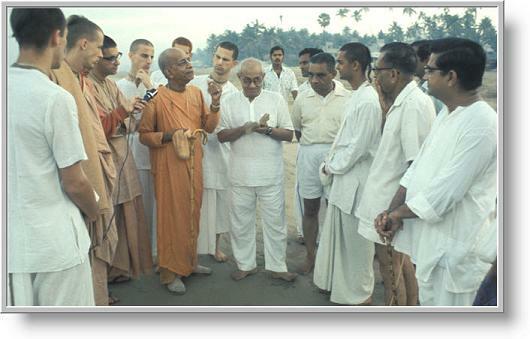 Such a Vaishnava is always aware of his Krishna conscious duty, and he is enlightened in self-realization. He is always in love with the Supreme Personality of Godhead, Krishna, and this love is without adulteration. Because of this love, he is always awake to transcendental realization. Because he knows that Krishna consciousness is the basis of knowledge and action, he sees everything as being connected with Krishna. Such a person is able to chant the holy name of Krishna perfectly. Such a maha-bhagavata Vaishnava has the transcendental eyes to see who is sleeping under the spell of maya, and he engages himself in awakening sleeping conditioned beings by spreading the knowledge of Krishna consciousness. 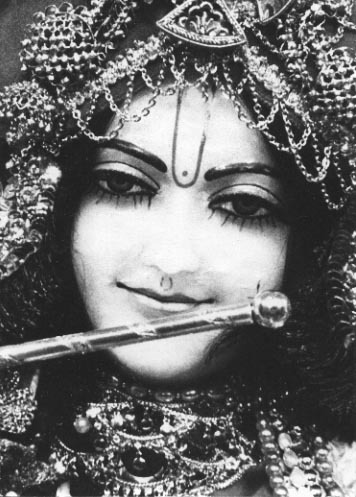 He opens eyes that are closed by forgetfulness of Krishna. Thus the living entity is liberated from the dullness of material energy and is engaged fully in the service of the Lord."